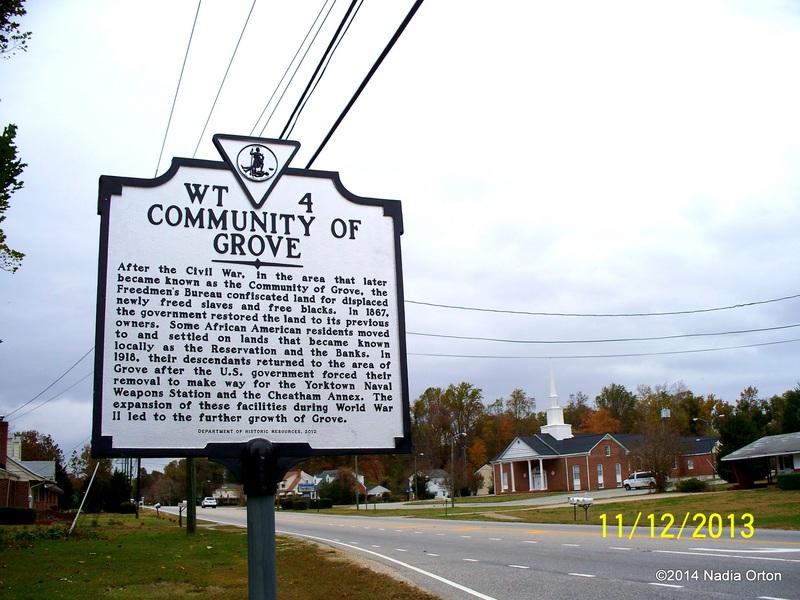 Community of Grove – After the Civil War, in the area that later became known as the Community of Grove, the Freedmen’s Bureau confiscated land for displaced newly freed slaves and free blacks. In 1867, the government restored the land to its previous owners. Some African American residents moved to and settled on lands that became known locally as the Reservation and the Banks. In 1918, their descendants returned to the area of Grove after the U. S. government forced their removal to make way for the Yorktown Naval Weapons Station and the Cheatham Annex. The expansion of these facilities during World War II led to the further growth of Grove. 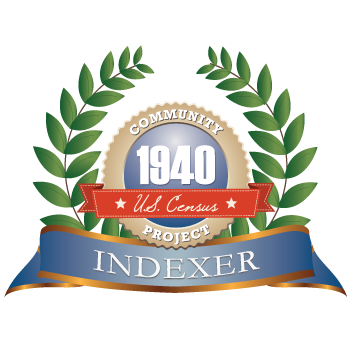 For more information, see: “Cast Down Your Bucket Where You Are: An Ethnohistorical Study of the African-American Community on the Lands of the Yorktown Naval Weapons Station, 1865-1918,” by Bradley M. McDonald, Kenneth E. Stuck, Kathleen Joan Bragdon, 1992.